The Great Escape is firmly established internationally as Europe's leading event for showcasing new music. 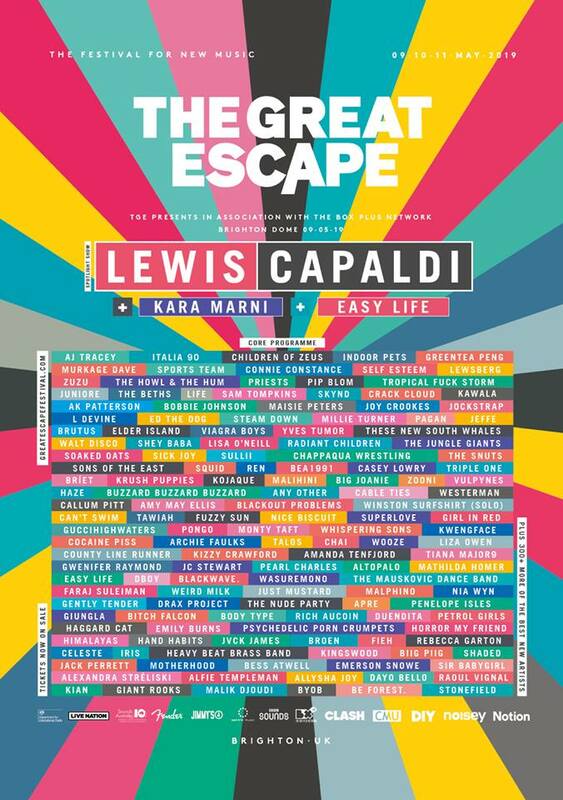 The Great Escape kicks starts the festival season, introducing the artists and sounds of 2018. With over 300 bands playing in 30 venues over 3 days. In addition to pre-publicised performances, impromptu street gigs spring up all over town. In addition to the music there are 3 days of seminars where the movers and shakers of the industry host debates and workshops. Running in parallel with The Great Escape is The Alternative Escape which hosts numerous club nights, label parties, industry showcases, unique collaborations and outdoor gigs all add to the festivities. The festival uses tiered ticket pricing.